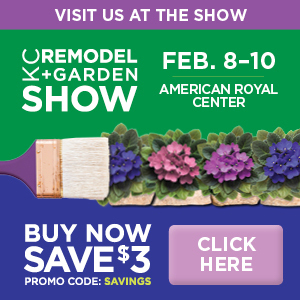 The 2019 KC Remodel + Garden Show does not print or mail the Exhibitor Kit. All information can be found in the Exhibitor Manual and the links below. Move-in letters with a scheduled time for each exhibitor will be mailed in January 2019. *Dismantling of displays is not permitted until 6:01 pm February 10th. Electrical, water, telephone, internet, & compressed air services can be obtained from Green Wave Technology Inc. for a fee. By pre-ordering these items you can take advantage of discounted pricing. To order services, please visit www.greenwavetechnology.net. You may call Green Wave Technology directly at 816.513.5200 or send an e-mail to convention@grnwav.com. NOTE: Wireless service is anticipated, but may not be available in all areas of the facility. Click here to download the food permit application. All Food Permit applications and payments must be submitted directly to the KCMO Health Department at least 14 days prior to the event, otherwise permit fees will gradually increase. Please call: (816)513-6315 for current permit fee amount. Bring potential customers to the show by downloading and printing a ticket savings posters to display in your retail location. Click on the image below to download the PDF version.